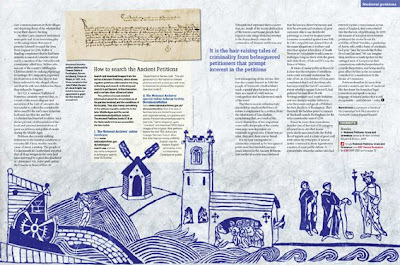 Two double-page spreads I've just finished for an interesting article in BBC History magazine about Medieval petitions. It will be in the July issue. 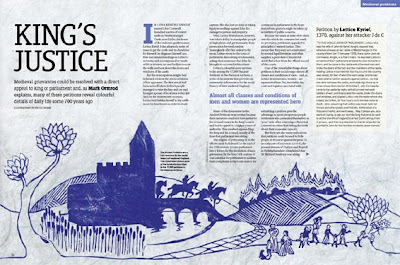 That reminds me of Pauline Baynes illustrations for Tolkien's "Farmes Giles of Ham". Very nice!